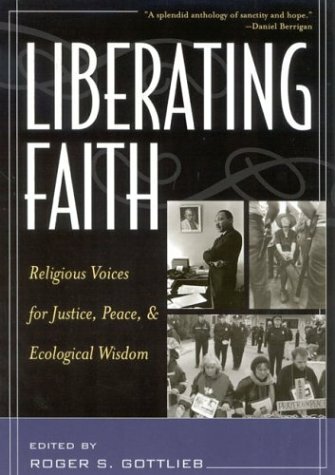 This anthology shows how religion has joined with & learned from movements for social justice, peace & ecological wisdom. The contributors survey the whole range of religious social activism, from liberation theology & feminist religion to eco-theology & peace activism. History of Love; The Moon by Whale Light: And Other Adventures Among Bats, Crocodilians, Penguins, and Whales; An Alchemy of Mind; and On Extended Wings. She also writes nature books for children including Animal Sense; Monk Seal Hideaway; and Bats: Shadows in the Night. She is coeditor of a Norton anthology, The Book of Love. Her essays about nature and human nature have appeared in Parade, National Geographic, The New York Times, and The New Yorker magazines. She hosted a five-hour PBS television series inspired by A Natural History of the Senses. She received the Orion Book Award for The Zookeepers Wife. Her other awards include the Abbie Copps Poetry Prize, Black Warrior Poetry Prize, Pushcart Prize, Peter I. B. Lavan award, and the Wordsmith award. She has taught at a variety of universities, including Columbia and Cornell. R. Scott Appleby is Professor of History and the John M. Regan Jr. Director of the Kroc Institute for International Peace Studies at the University of Notre Dame. He is the author of The Ambivalence of the Sacred: Religion, Violence, and Reconciliation and "Church and Age Unite! ": The Modernist Impulse in American Catholicism . from "Abuses and Uses of the Bible"
"Prejudice against the Colored Man"
"The Sin of Slavery and Its Remedy"
from Rerum Novarum: "The Condition of Labor"
"Gandhi in the Twenty-First Century"
"The Struggle between Two Voices of God in Torah"
"The Justice of Transcendence and the Transcendence of Justice"
"The Social Teachings of the Buddha"
from "Jesus of Nazareth/Christ of Faith: Foundations of a Reactive Christology"
"Justice, Justice Ye Shall Pursue"
"Toward the 'Rights of the Poor': Human Rights in Liberation Theology"
"The Martyrs' Living Witness: A Call to Honor and Challenge"
"Love Is the Measure" and "Our Brothers, the Communists"
"Faith Takes a Seat at the Bargaining Table"
"Religion and the Fall of Communism"
"A Catholic Rural Ethic for Agriculture, Environment, Food, and Earth"
"Globalization and the Perennial Question of Justice"
"Mammon and the Culture of the Market: A Socio-Theological Critique"
"Statement of Indigenous Nations, Peoples, and Organizations"
"Voices of the Peoples--Voices of the Earth: Indigenous Peoples--Subjugation or Self-Determination?" from "The 'Why' and 'What' of Christian Feminist Theology"
"Prophetic Tradition and the Liberation of Women: A Story of Promise and Betrayal"
"In Search of Women's Heritage"
from "Islam, Women, and Gender Justice"
"A Theology of Pro-Choice: A Feminist Perspective on Abortion"
"Every Two Minutes: Battered Women and Feminist Interpretation"
from "Ministry to Women: Hearing and Empowering 'Poor' Black Women"
"Ecology Is a Sistah's Issue Too: The Politics of Emergent Afrocentric Ecowomanism"
"Rituals of Healing: Ministry with and on Behalf of Gay and Lesbian People"
"The Fourteen Mindfulness Trainings of the Order of Interbeing"
"The Christian Challenge: Love Your Enemies"
from "Speak Truth to Power"
"Resisting the Forces of Death" and "'No' to the Vietnam War"
"Toward a Theology of Resistance"
"September 11, 2001: A Pacifist Response"
"The Meaning of This Hour"
"Saving the World: Religion and Politics in the Environmental Movement"
"Traditional Ecological Knowledge and Environmental Futures"
"An Aboriginal Perspective on the Integrity of Creation"
"To Save All Beings: Buddhist Environmental Activism"
"Faith, God, and Nature: Judaism and Deep Ecology"
"The Universe Story: Its Religious Significance"
"The Trinity and Human Experience: An Ecofeminist Approach"
"The Chipko Women's Concept of Freedom"
"Race, Sacrifice, and Native Lands"
"The Cochabamba Declaration on Water: Globalization, Privatization, and the Search for Alternatives"
"Evangelical Declaration on the Care of Creation"
"The Theological Basis of Animal Rights"
"Breaking Ground: A Traditional Jewish Lesbian Wedding"
"Dance to Heal the Earth"
"Peace Prayers of the People"
"All That Has Divided Us Will Merge"
"When Did We See You Hungry?"